Pet iD Identification and Recovery Cat Fancy 2008 Editors' Choice Award! -----Affiliate Program. --------------Working together with Pet Industry Supporters and Marketers! 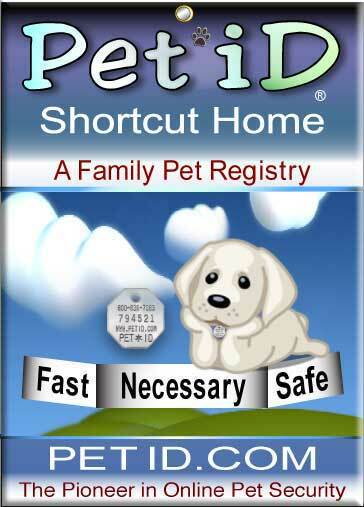 We at Pet*iD are like many other companies in this tight economy; trying to find ways to expand our product. We believe that Pet*iD is the most innovative and advanced product in the pet identification category. Our service is not only tailored for the pet owner, but also provides a network including support for Shelters, Veterinary Clinics and Local Municipalities. We are expanding our marketing to include other countries, in an effort to standardize travel requirements for domestic pets. This standardization is possible with a central data system such as ours. When it comes to advertising, we all know there is very little bang for your buck. We at Pet*iD feel that if we share our resources with other reputable companies in the pet industry, we can effectively build each other's brands, while avoiding some of the high costs of advertising. What we are proposing is an affiliate program that will have an immediate financial benefit to you. 1. You will receive a short strip of code that is linked to the Affiliate logo, that you can post on your site where you chose. You will also receive a coupon code that is a $1.00 discount for your customers. You can promote your coupon any way you choose, and you will always get credit for the sale. The logo is linked to the Pet*iD checkout page, that is powered by PayPal. When a customer completes an order, your account is automatically credited for that sale. We will place your logo and url on the Pet*iD web site. Quality link exchanges are good for both of our sites. PetiD.com also has high search engine rankings. 2. As more pet industry web sites join this Affiliate program, more traffic will funnel into all our web sites, thus increasing sales and profits. 3. Your visitors will be able to purchase Pet*iD from your web site via your Pet*iD account. You will be paid a commission for every sale that is made through your account. A password protected administration page is provided to you, so you can see the sales you have generated, and track your commissions. We feel that this working relationship can be beneficial to both for a long time to come. You will receive a $1.00 OFF coupon, (unique to you) for your customers to use at the Pet*iD website. Other detail is noted in Option 1. Is totally free to you, and consists of a link to our HOW TO ORDER page, where your customers can purchase the Pet*iD package of their choice (a Yearly or Lifetime option.) You will then receive a $4.00 commission for every sale that uses your Affiliate link or coupon. You will receive a password-protected administration page, where you can monitor and track your sales. You are free to promote your Affiliate link and coupon code however you choose. Similar to Option 1, but is more advanced. We develop a complete storefront package that looks and feels just like your website. This option allows you to have your own pet registry program linked directly to ours; where Pet*iD manages the technical aspect as well as the customer service portion. This option will allow customers to search and update tags from your custom site, and receive ID tags with your business information and or logo. Pet*iD manages the shipping and handling through our SSL certified website that supports all credit cards and PayPal. The benefit to you is your customers feel as if they are purchasing the best possible ID tag directly from your familiar web page. Any sales that come through your site will earn you a $4.00 commission for yearly options. You will also receive a $2.00 commission on annual renewals for as long as the customer stays with the program. A $10.00 commission will be earned for any lifetime option that is purchased though your customized site. 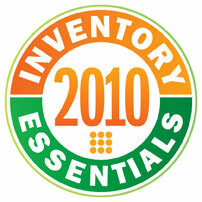 You will receive a password-protected administration page where you can monitor your sales and monthly records. This option will cost $50.00 to setup (including development and design of your custom page), and a monthly service fee of $10.00. There are over 160,000,000 pet owners in the USA that own over 200,000,000 dogs and cats; each of these pets should be registered with Pet*iD Short Cut Home. Our purpose is to do something good, and make a reasonable living while doing it. By joining the Pet*iD Affiliate Program, you will be contributing to the greater good, as well as exposing your web site to one of the highest ranking pet identification sites searched on the web. Thank you for your time and consideration of Pet*iD's Affiliate Program.